Some of the biggest thrills in my life, things that make me really sparkle with the joy of living, have come from writing original homemade songs. Perhaps it is the element of surprise that comes from the trance I get in, and the results of original songwriting. Today I wrote a new song. It was inspired by the end of summer, the joys of living in the Midwest, and of course being with my husband, the love of my life. 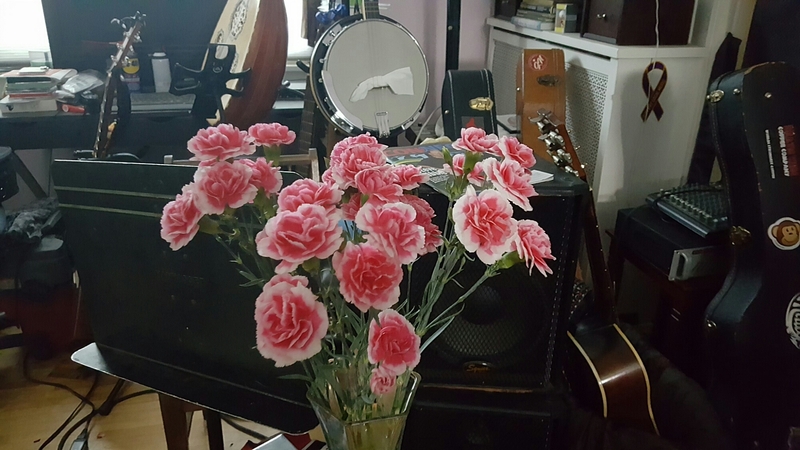 Nevertheless, something else that speaks to me, besides the thrill that that comes from writing original songs, is the majestic beauty found in the abundant variety of blooming and blossoming flowers. Granted, I never used to buy flowers very often. Now, since I can afford it, I buy fresh-cut flowers once a week, at least. I do have plants that I grow in the house. But, flowering bouquets have a special attraction of their own. Yes, they do reflect the transiency of life, but they are so beautiful. They really light up a room and they light up my life.